Facial is a process of removing dead cells and exercising facial muscle which maintains the skin elasticity and as a result delays ageing process. Spark salon recommends getting facial at least once in a month. Experience the luxury at one of the best salons of Mysore at Spark salon. Facial in Mysore. A facial is a procedure involving a variety of skin treatments, including: steam, exfoliation, extraction, creams, lotions, facial masks, peels, and massage. Experience the new you in Spark. Waxing in Mysore. BioSoft is herbal and is ideal for the removal of body and facial hair and works on all skin types. Active ingredients: Titanium dioxide, Zinc oxide & Beeswax. 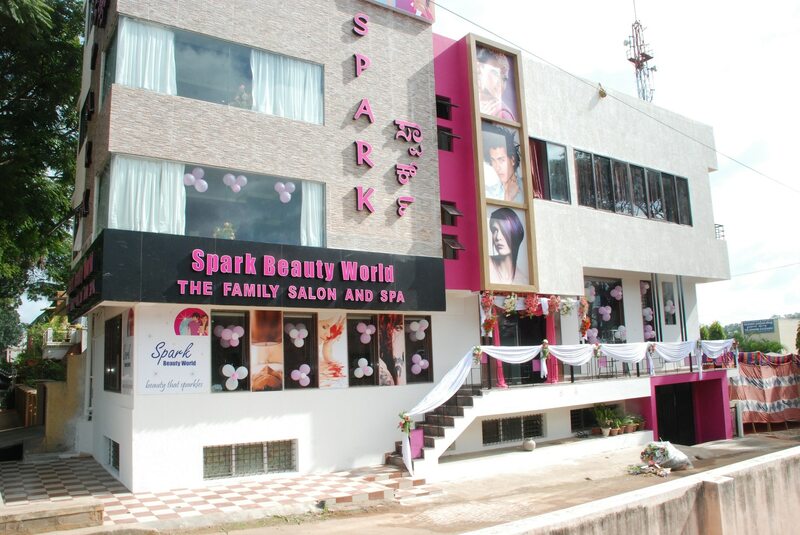 The Spark Beauty World Family Salon & Spa is Mysore’s Largest Ultra-Modern Luxury Family Salon & Spa where you get all services under one roof. We provide various service such as Hair spa, Hair colouring, Facial, Manicure, Pedicure etc all at affordable rates. Clean up is a mini version of facial. In Clean up we cleanse the skin, remove black heads, exfoliate dead cells and tightens the skin. Experience best clean up at Spark beauty world.